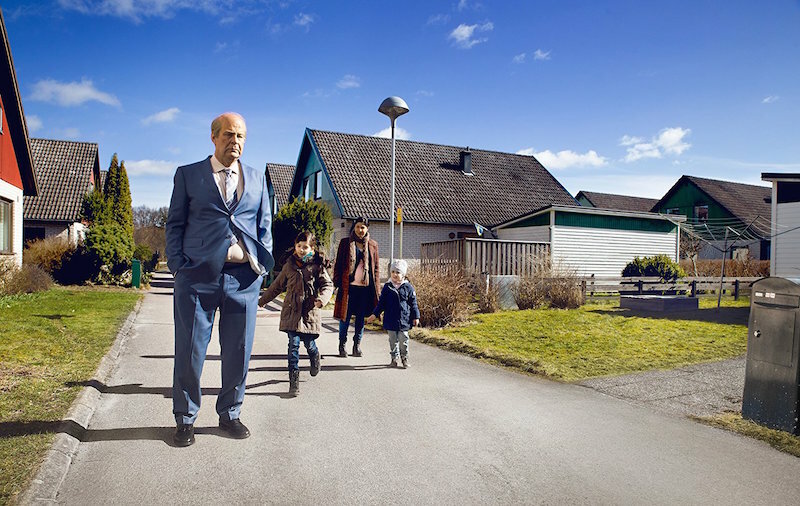 The momentum built, from touching Swedish novel by Fredrik Backman to vastly entertaining movie directed and written by Hanes Holm starring Rolf Lassgard as the cantankerous title character who rules his tidy suburban housing complex with raised voice, eyebrow and, occasionally, fists clenched at his neighbors and the world at large. 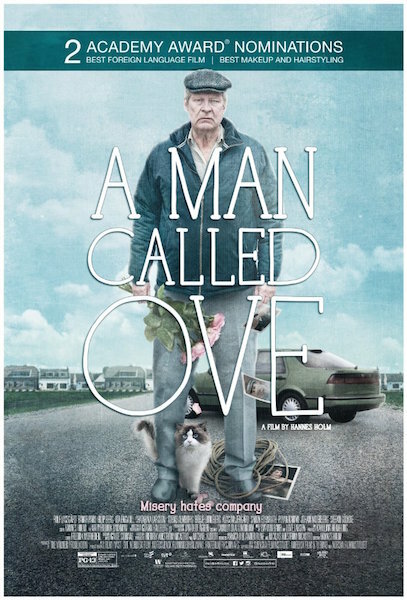 And now Hollywood word is that Tom Hanks is out to Americanize A Man Called Ove. Get your mitts on the Swedish Blu-Ray right now. It’s worth the sub-titles to relish the full breadth of Lassgard’s emotions, as well as the well-rounded work of a wide-range of generations of his neighbors, most specifically, Bihar Pars as an initially meddlesome mother and wife who slowly but surely wins her way into the old man’s confidences. This Ove is one piece of work. And one of the glories of the movie is we get to see why in bits and pieces of flashback to Ove’s youth growing up virtually in a train yard with his hard but loving dad after his mom passed away when he was but a young boy. It’s touching, it’s troublesome, it’s funny. Halfway through the 1 hour, 56 minutes of watching on the living room flat screen with my dear wife Karen, who’d read the book first but was enthralled nevertheless, I’d forgotten that I was reading along to a language I didn’t understand. Ove is always just what he seems: A complex soul to contemplate, celebrate, perhaps even savor. Tom Hanks may indeed do something marvelous with the tale and character. But don’t you want to say, I knew Ove when? Some stories lose something in translation when they are Americanized, but if anyone can get it right, it will be Tom Hanks!! We shall see, SD. I’m sure he’ll give it a great go. It was one of my favorite books of the past year, such a great, complex character. Complex, yessir, he sure was, Van. You got it! When foreign movies and TV shows are Americanized and I find out later that they were a foreign idea I am always surprised for some reason. I would love to read this book also. Like THE GOOD DOCTOR is based on an Asian TV show.. Hey that’s on tonight! It’s on my list of books to read! i loved, loved, loved both this book and this movie! swedish version all the way! You will truly enjoy this movie, MBC. I look forward to it. If this tells you how far behind I am on movie watching. I just TODAY watched “42”. And I bet you appreciated it so much! Oh MBM, I haven’t appreciated a movie like that in so long. I kept stopping it and looking up people and events in the movie so I had more info. Good movie. Yes, it got me, good, too, MBC. The people in it! You are so right. Thank you Mark. Going to the library today and see if they can deliver this gem to me. Excellent review. I hope you find it and savor it, JoHanna. It’s a little gem!